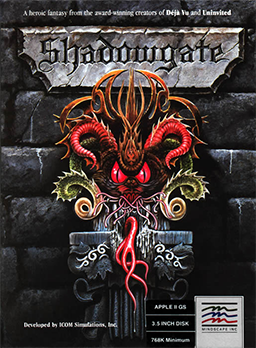 Shadowgate is an adventure game originally released on July 30, 1987 for Mac. It was ported later that year to Amiga and then to DOS in 1988. It was then ported to the NES in 1989 and to Windows in 1993. Infinate Ventures released a port named "Shadowgate Classic" on Gameboy Color in 2000 and on mobile phones in 2005. A high definition remake was announced by Zojoi (a company founded by former ICOM employees) in 2012. The remake was crowd funded through a successful Kickstarter campaign, and was released for PC and Mac on August 21, 2014. The Android and iOS versions of the Shadowgate remake are scheduled to be released some time in Fall 2014.